Lucy is part of the Old Town Hypnotherapy team at Wood Street Wellbeing and came into hypnotherapy having had first-hand experience of Solution Focused Hypnotherapy. Lucy is passionate about spreading the word and committed to helping you get the results that you want. Lucy has a particular interest in anxiety, stress, insomnia, weight issues, fears and phobias, depression, giving up smoking, motivation, confidence, panic attacks and addictions. 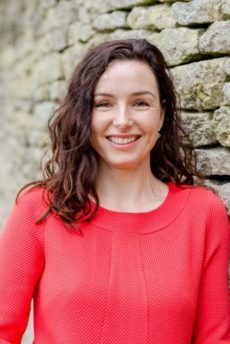 Lucy has completed further training in OCD, PTSD, pain management, fertility, NLP and the science behind the mind/body connection. She also runs her own busy practices in Cirencester & Malmesbury, and gives regular talks to local support groups, delivering an informative presentation about how the brain works and how to make it work for you, in order to enhance wellbeing, confidence, motivation and achievement. Lucy is a member of the Association for Solution Focused Hypnotherapists and the Complementary and Natural Healthcare Council and is bound by their code of practice. Lucy maintains full Public Liability and Professional Indemnity Insurance.